Two cross-country skiers sat in the snow, leaning against the skis at their backs, contemplating the scenery of Colorado’s Pearl Pass. In a few hours they would reach their destination, a small chalet, another in a series of cabins for avid skiers who wanted more than a day trip. "What am l doing in Aspen, anyway?" one skier said, referring to Colorado’s home of the rich and renowned. “I’m not into the glitz, and I don't want to be famous." The doctor paused, considering his own words. "Not anymore, anyway." He smiled grimly, acknowledging that fame and fortune were once very much part of his life’s agenda. "Ever think of medical missions?" his companion replied. The doctor stared, his gaze fixed on his knees. Ever think of medical missions? He shook his head. No, I've been too busy even to think. Rising to snap his bindings, he made a decision. Dr. Michael Berkeley finished that day's ski, his soul lighter than it had been in months. Thirty-four years prior to that mountaintop afternoon, Mike Berkeley was born in El Paso, Texas. Soon after his birth, he and his family moved to the Mexican state of Chihuahua to live on a large hacienda owned by his grandfather. Mike's earliest memories-the arid winds, the endless sun, the quiet people-would woo him back many years later. Before Mike was old enough to go to school, his family moved to Houston, where his father studied to become an ophthalmologist. While there, Mikes parents heard the story of Jesus' death, burial and resurrection, and they placed their faith in Him. Sensing the joy of his parents' new life, Mike also trusted Christ. Years later, at age 21, Mike, along with four other climbers, took on the challenge of Mount McKinley. They reached the summit in the face of a major blizzard that would last three days. Pushing back down the mountain to escape the storm's wrath, Mike and his companions fell fast asleep at their base camp. The howling winds outside their tents did not rouse them-they hadn't rested in 36 hours. That mountain conquered, Mike returned to his studies at Stanford University determined to climb others, not knowing that Gods calling would someday surround him with mountains. Beginning his Baylor residency as an orthopedic surgeon, Mike met his future bride, Maci. Their mutual love for Christ bound them; eventually it would take them to foreign locations to serve Him. His residency complete, Mike took his young wife and moved to Aspen to pursue his ambitions. Though Mike admits his motives in life were tainted, God’s blessing followed him. ln his newly established practice, Mike found himself treating celebrities like Jack Nicholson, Martina Navratilova, Michael Eisner and Kiki Cutter. His clinic treated a thousand ACL injuries a year-as fast as they fell from the slopes-not counting the bro­ken tibias and dislocated shoulders. In 1985 Mike and his two partners developed cutting-edge arthroscopic technology, an effort that was going on simultaneously in a handful of major U.S. centers. Patenting their instrumentation, the three doctors then took turns accompanying the U.S. Ski Team to locations like Switzerland. The speaking circuit followed, with Mike giving lectures as far off as Italy. Fame was there for the taking, and Mike enjoyed his share of it. God’s blessing continued unabated, but there was a large fly in the sweet ointment of Mikes success. Winters in Aspen were brutal, not merely because of the weather. The more snow, the more skiers. On average, ardent downhill skiers experience a major injury once every seven years. Now world-renowned, Mike’s clinic was overrun with work. "I would say goodbye to my family at Thanksgiving and hello again at Easter." ln the midst of the 1986 ski season, Mike found himself on Pearl Pass, unburdening his heart to a friend. Ever think of medical missions? Those words sent Mike and his family on a six-week mission with Mercy Ships to the Mexican state of Michoacán. Working alongside a Spanish-speaking evangelist, he treated clubbed feet, dislocated hips and cerebral palsy patients. He loved every moment of it. "It was a weird experience for me. I woke up every morning-happy." He remembers telling his Savior, "Lord, this is what I want to do. It had better be what Your plan is for me; otherwise You've really played a cruel joke." Years into his career, Mike had finally found his calling. A child named Sergio was his dearest patient. Sergio had a congenital anomaly called Apert’s syndrome-the digits of both hands were fused together. At that time in Mexico, if a child could not hold a pencil, he could not attend school. Sergio's operation included a stressful bout of malignant hyperthermia typical of such deformities, but the Lord brought him through. “Sergio got thumbs and went to school." The next summer the doctor took his family to work for two months in Jamaica, again under the auspices of Mercy Ships. But this experience was far more difficult. “I’m not sure if it has to do with Jamaica's cruel history of slave trade, but children are treated like dirt there." He helped where he could but knew that Jamaica was not his calling's resting place. Continuing to seek God's guidance, Mike made several trips into Mexico, looking for something to sink his life into. Maci encouraged him and stayed at home to raise their two boys. In the fall of 1988, Mike found himself in a small but efficient Christian hospital in the city of Chihuahua. Clinica Las Americas was directed by Dr. Hugo Irigoyen, a general practitioner who sidelined as a builder in the tough Mexican economy. He was also an Evangelical Christian in a city where there were few to be found. With a generous sliding-scale fee policy, Dr. Irigoyen was running the entire hospital on the equivalent of what one American GP would earn, counting partly on the donations of other Christians to keep the operation alive. Nationalities and language barriers aside, the two doctors became fast friends. 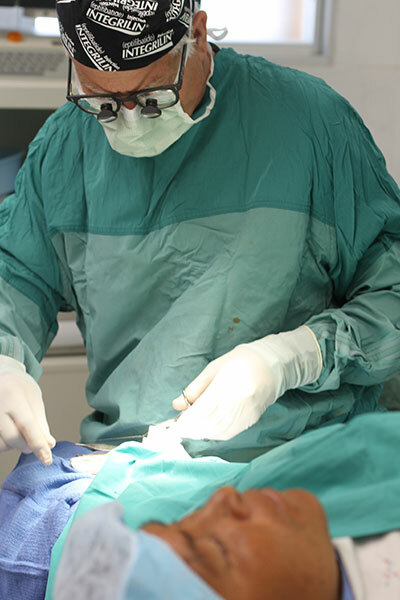 With increasing frequency, Mike made excursions into Mexico to work at Clinica de las Americas, donating his time and bringing used equipment to augment the hospital's meager selection of tools. The clinics reputation grew, drawing a trickle of indigenous patients--largely Tarahumara Indians—from the mountains of southern Chihuahua. Mike was delighted to work with the poorest and most despised people of their land. One young lady from the mountains, Gabriela, came into the clinic with a severe clubfoot. She wore a rubber ring cut from a tire crudely fashioned into a shoe. With two surgeries and several months' work, the foot came around. Returning for her post-op follow-ups, Gabriela now wore high heels. When Mike asked her about her choice in shoes, she replied, "You must have heels to get a man." Another of Mike's friends, Dr. Steve Seegers, is a medical missionary in the mountain town of Creel, Chihuahua. One evening he answered a knock at his door. A Tarahumara family had traveled to find him. Their son had third-degree burns covering his right leg from the knee down. Only the foot's sole remained intact. Worse still, the injury was 10 days old and had gone septic. Steve rushed him to Chihuahua, a five-hour drive, and put him in Mikes hands. ''I'd never before grafted an entire leg," Mike says. "The kid should have been in a burn center." But the graft took, 100 percent of it. "Even burn centers don't get those kind of percentages," Mike adds. "We're good, but we're not that good. The Lord grants grace in adverse situations." Mike, Hugo and Steve had always talked about the possibility of a hospital in the moun­tains of Mexico. Clinica de Las Americas was meeting some of the need, but for every Tarahumara who came for treatment, 20 suffered in pain because of the distances involved. A mountain hospital was a great idea, but who would build it? Mike Berkeley was in his Colorado office one day when two men walked in. Big beards and hats were the first things he saw. The men looked like postcard caricatures from Lancaster County, Pa. Three teenage girls in Amish apparel followed, quietly eyeing the room. "Dr. Berkeley, we understand you wish to build a hospital in the mountains of Mexico." Mike nodded, unsure what to expect next. "We wish to build it for you." The conversation was that simple. At the suggestion of the Amish people, a 10,000 square-foot building was prefabbed in Houston and imported to the Mexican mountains on two tractor trailers. Three Amish families moved to the site. Six months later the building was done. HMT, Hospital Misión Tarahumara, located just outside the tribal village of Samachique, opened for consultations in January 2000. 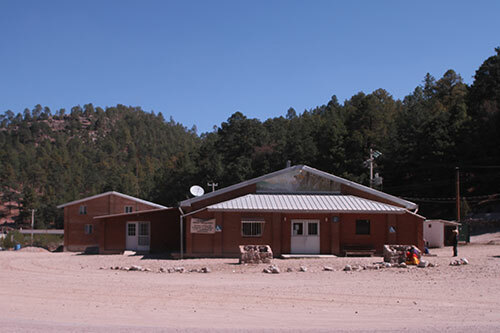 With time, the clinic will have inpatient services, dentistry, a maternity ward, a food bank and a native chaplain to share the gospel in the Tarahumara tongue. The hospital also plans to have a fully equipped OR. "I love dragging First World technology into Third World contexts," Mike says. And he has made about 50 trips to Samachique doing just that, driving an old Suburban, filling trailer after trailer with used equipment donated by Stateside doctors. Eventually, Mike hopes to train indigenous medics to work in rural outposts. Once trained, they would dispense simple medicines and refer tougher cases to HMT. "This hospital's going to outlive me," Mike notes. "But before I go, I'd like to see it vibrant and active, a place where Tarahumaras or Indians of any tribe can come with confidence, knowing they'll be cared for." At 48 years of age, Mike may well see his broader dream realized-Mexico has more than 200 distinct language groups, five of which could benefit from HMTs location. However, meeting physical needs is not enough, Mike adds. HMT has a large mural under its front gable. In it, a lamb struggles on the edge of a steep precipice, inches from death. But the mural also depicts a shepherd. He bends, reaching for the lamb with two gentle hands-the two hands of the gospel, seeking to meet both the spiritual and physical needs of those whom they touch. Dr. Michael Berkeley is emphatic: "We want every person who comes into that hospital to know they were treated and loved in the name of the Great Shepherd, Jesus Christ." HMT was built under the auspices of Mexico Medical Missions, a ministry that Dr. Michael Berkeley directs. The hospital construction cost $250,000-which matches its projected annual budget. Many doctors have asked, "How can we help?" Financial gifts or donations of medical equipment are the most obvious means, but what about the possibility of a short-term medical ministry? Mike pauses at the question. "My reply is a cautious yes. American doctors can't just come down to work in Mexico. They must do so under the wing of a Mexican doctor to provide legal covering. We can arrange that, but not overnight. Preplanning a trip is important. "My greatest concern lies elsewhere, however. When it comes to medical missions, my question to doctors is always this: Are you looking for a "spouse" or a "casual date"? If a doctor’s interest in medical missions is seriously focused on Mexico, then I'd be happy to have him come down. If the desire is to visit HMT this winter, the Ukraine come summer, followed by South Africa-then I'm hesitant. We're not set up for that. We're looking for people to become part of our team, intermittently or full time. If it doesn't work out, we'll understand-the same thing happened to me in Jamaica. But we'd like people to at least come down with a long-term mind-set. We'd like them to think of Mexico as a potential spouse, not a casual date."